As discussed in an earlier post, the Library is paring down its collections in preparation for the move to our new space in 2016. 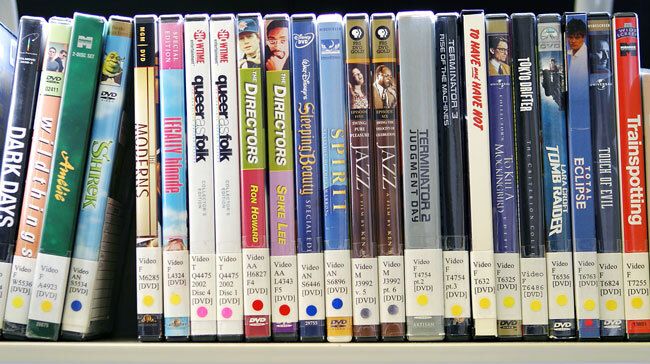 We are now weeding VHS tapes and DVDs, beginning with the Feature Films, Literature and Television sections. Like de-cluttering, weeding can be a challenging and overwhelming endeavor. I try to emulate Elsa and let it go. If you have any questions or concerns, please contact Heather Cleary. Image: Sampling of videos in the Otis Library from 2008. The items pictured above are not necessarily candidates for weeding.